When starting out as a blogger, there is one tremendously helpful tool at your disposal: email marketing. The more people you can get to sign up to your email lists – and actually open your emails – the faster your blog will grow. A lot of new bloggers are beginners at email marketing too. If that sounds like you, know that getting your email marketing right from the offset is going to save you a lot of time and effort in the long run. 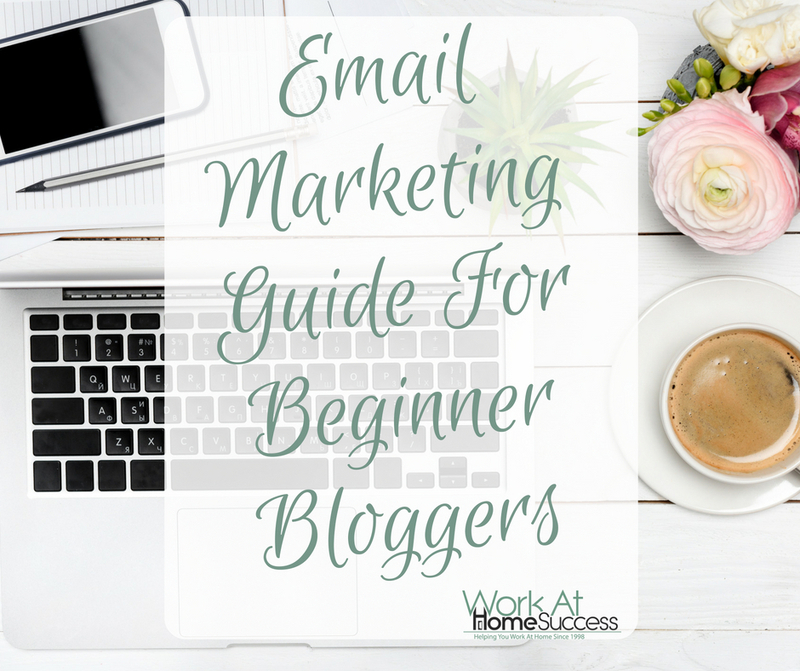 This email marketing guide for beginner bloggers will get you off to the best possible start. In order to inspire people to sign up to your lists, you’ll need to make it worth their while. They will want to know what they’re going to get if they sign up to your list. They want to be sure they won’t be spammed repeatedly with uninteresting information, for one thing. You should indicate how often you plan to email your lists, and with what kind of content. If you want to build your lists quickly, ask for permission before sending out emails. Sending emails to people who haven’t asked for them is the equivalent of cold calling, albeit with less effort on your part. It doesn’t look good, and you’ll get plenty of unsubscribes. At the start of each email, give some instructions as to how your readers can add you to their contact list. This will prevent your future mails from going into their junk folders. This is especially important on introductory and follow-up emails, and can be reiterated (with a thank you) at the bottom. Your readers are going to have a few expectations based on what you indicated at sign up. If you have told them you plan to send one email per week, stick with that. If you plan to increase or decrease email frequency, let them know and give them an option to opt in or out of that. Your first follow-up email is very important if your email marketing is to be successful. People won’t expect to hear silence – or irrelevant information – from you after they first sign up to your list. Your email service provider is likely to offer an autoresponder sequence, so make the most of this. If you can automate your initial follow ups, this will take a lot of work off your hands, while making your readers aware that you intend to keep in touch. Make sure the first follow-up includes a friendly (ideally personalized) introduction and details of how you plan to communicate ongoing. You want them to feel that you will add value to their lives with your emails. The thing with newsletters is that you should only send them to those who have specifically asked for them. If someone has given you a business card or emailed you with a simple enquiry, your newsletters could be unsolicited. When sending emails, be sure that you are offering value through interesting content, insights and relevant updates. You should start out with a friendly introduction. It’s a good idea to address your readers with a friendly message, rather than launching straight into a sales pitch. First tell them about any events, interesting insights, links, etc. If you are planning to launch a new product or offer, place this lower down in your email. Your intention should be to build a relationship with your readers, instead of hitting them mainly with sales pitches. If you can manage this early on, your readers are more likely to be receptive to your more ‘salesy’ content later. When you do pitch, make it unique, and perhaps with an offer of some kind (although offers aren’t necessary every time, of course). If your open rate is high, you’ve done a good job of connecting with your readers. Keep up the good work. If not, you probably need to modify your approach somewhat. If it’s low, think about whether you’ve done what you said you would at the start. Are you adding enough value? It could be that your emails are going through to junk – if you think this is possible, make more effort to encourage your readers to add you to their contact lists. People may be opening the emails, but not clicking through to your site very often. A low CTR probably means you need to improve your content. Introduce your links in an intriguing way. Invite people to click through for offers. The earlier on people unsubscribe in your sales funnel, the chances are you need a more compelling or relevant CTA (call to action). Perhaps the problem is that your autoresponders need work. Have a good read through them and consider whether they add value or are generic and uninteresting. If you can figure out when it is that people are unsubscribing, you’re in a better position to take appropriate action. Segmenting your email lists basically means splitting them into groups based upon their specific demographic or interests. This way you can more easily target them with relevant information and offers. You might have a list for daily emails, and another for weekly emails, dependent on people’s preferences. You might have another for newsletters, one for product updates, and one for new products. It is sensible to offer people a sign up form (a kind of checklist for their preferences), so you can immediately find out what their specific areas of interest are. The more your emails are tailored to meet the requirements of your readers, the better your click-through rate will be, and the more conversions you will get. Email service providers like Mailchimp will give you plenty of assistance with list segmentation, so the hardest work is taken out of it. If your analytics are telling you that certain people didn’t open your last email, you can send those people another email addressing this, for example. You can also do split tests, sending one email to one group and a modified version of it to another, to see which works best. When you’re a beginner blogger, it can sometimes feel like you’ve got enough on your plate already. It’s a big job to understand how to create engaging, sharable content, never mind the technical side of things, SEO, etc. However daunting it may seem, it’s smart to pay attention to your email marketing too. By making a little time for list building, and being aware of your readers’ expectations, you’re one step ahead. Sending out regular content and newsletters, and analyzing the results puts you even further ahead. If you then segment your lists carefully, your blog, products and services should be the talk of the town before long. Author Bio: Daniel Ross is part of the marketing team at Roubler — a scheduling and payroll software platform founded in Australia. Their mission is to change the way the world manages its workforces.